know many of them) don’t acknowledge old age even when they enter their 90’s. What is the difference in the old 60+ person and the not so old 90 + person? It is true that each of us exhibits our own unique way of aging due our gene pool and life circumstances. It is also true that a community which advocates for its 60+ citizens can make a major impact on how well or how soon we age. Columbia County Senior Services, Inc. has been that advocate for the past 44 years. Aging will happen to us all, however, the quality of services available to assist us in retaining our independence will make a difference in when we must acknowledge our own old age.We are thankful that the Lifestyle Enrichment Center has been the bright hope and center for aging well and enjoying the Third-Third of our lives because of the many services provided at the Lifestyle Enrichment Center like Food,Transportation, Care and socialization. These are but a few of the many wonderful services. We are thankful that many of you have been our strongest advocates and given your time and financial support to continue our programs. We thank you and wish you and your families a warm and wonderful holiday season. We look forward to a bright future in 2017 and continuing our mission to serve the over 60 population of Columbia County. 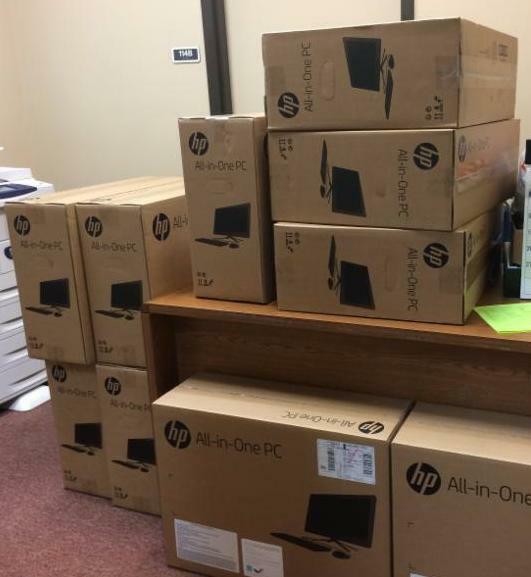 The day before Thanksgiving ten new computers arrived thanks to those who have contributed to the Annual Campaign. This was just one of the many important objectives of the Campaign. Since the inception of the new Lifestyle Enrichment Center building in 2007, the telephones and computers that were donated at the time have long since achieved their full use and capacity. 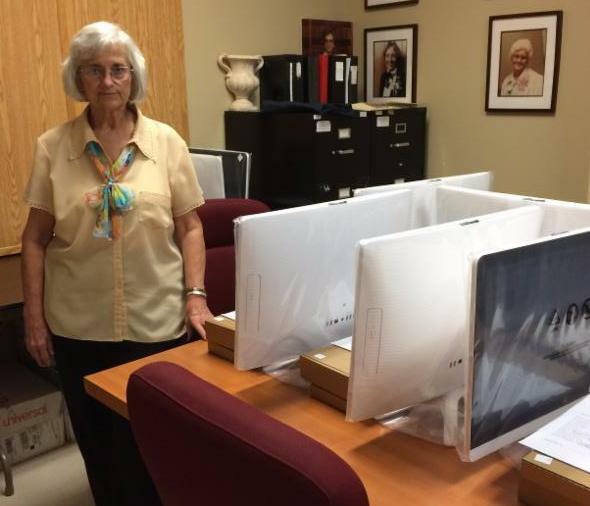 These new telephones and computers will help the organization to work more efficiently and smoothly in assisting the over 60 people of Columbia County. Many thanks to everyone who helped make this possible. Sharon, Andrew and Mathew wait for food to be put on trays they take to the elders.. When the Crews family decided they wanted to volunteer as a family they began researching various non-profit organizations. When they visited the CCSS website Sharon told her sons, Mathew and Andrew that when we get older our bodies begin to wear out and we cannot always do the things we did when we were young. 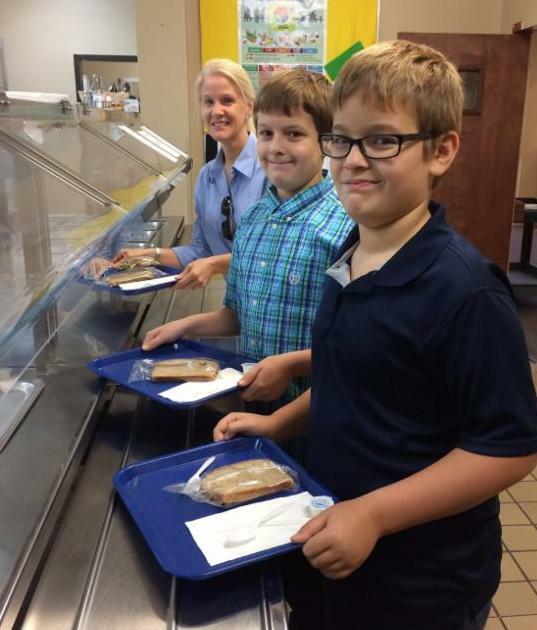 She shared with her boys that sometimes we lose our family members and are all alone and that the Lifestyle Enrichment Center was an organization helping the elderly to continue enjoying life and meeting new friends. 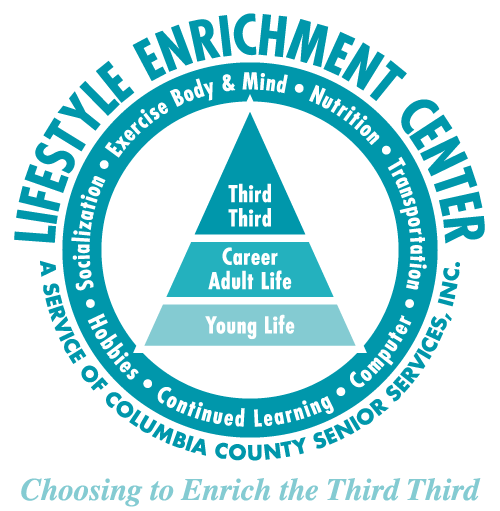 When they first visited the Lifestyle Enrichment Center they met the Volunteer Coordinator who took them on a tour where they met some of the seniors. Sharon said she will never forget the comment made by a woman sitting in the dining room who said, “I always cooked for my husband and family and it feels so good to finally be able to sit and not do all the work.” Sharon knew that she and the family wanted to help serve the lunches and be where the elders finally were able to enjoy this time without the hard work and tasks of younger days. Some of the jobs that the family have done while at the Lifestyle Enrichment Center include serving the meals, decorating for holidays and special Friday dances. They also help to decorate the bulletin boards, make photocopies, run errands and special tasks that make a huge difference for the organization. Mathew says, “the best thing I have enjoyed is the friendships.” Mathew and Andrew help the elders play X-Box bowling and they are in awe and surprise of how able and well the elders play those games. While Kevin Crews, the father is a very good bowler the elders tell him he needs lessons from the boys on Virtual Bowling. All in good fun the relationship between the Crews family and the elders is very special. We thank the Crews family for making a difference at the Lifestyle Enrichment Center. If you would like to become a volunteer please visit our website at www.ccseniors.com. One year ago life changed for Norman Atkinson when his knee buckled and he fell from a ladder onto a concrete parking area. His right leg and wrist were broken. After triage at the hospital he was transferred to the VA hospital in Gainesville where a steel rod was inserted into the femur. Due to complications with the anesthesia, doctors were unable to operate on the wrist, but braced it with a metal support. Recovery took much longer than expected. Two weeks later Norman was transferred to a rehab facility in Lake City for another month. Upon release from the rehab center home therapy, visiting nurses were scheduled. Soon Medicare benefits ran out, but it was apparent that Norman could benefit from additional therapy. It is important to note that he also struck his head during the accident which wiped out a portion of his memory. He had to relearn many basic skills like feeding and dressing himself. His wife, Betsy, who volunteers 5 days a week at the center, worked with him daily on motor and recall skills. Betsy then realized the Lifestyle Enrichment Center gym might help him. 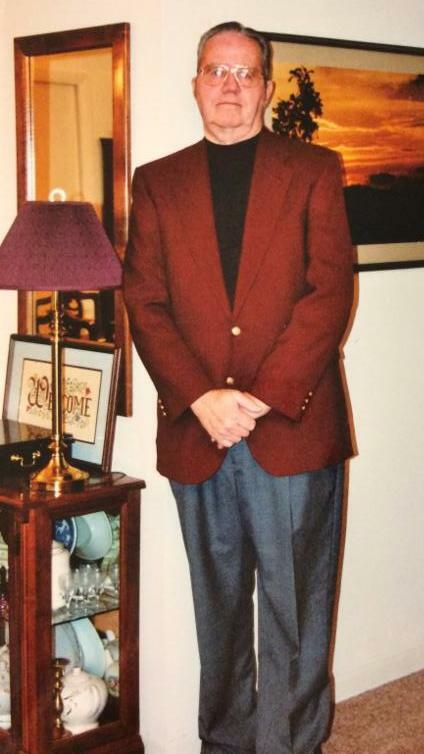 Norman began attending the gym daily, aided by trainers, Tom and Jeff who worked diligently teaching him to walk without the walker or cane. Betsy says, “Tom and Jeff are top-notch and so is the equipment.” The Lifestyle Enrichment Center is also rebuilding Norman’s social skills in the form of many new friends and experiences. Daily word puzzles, newspapers and magazines are provided. Meals are provided by the various programs. A large library and many classes like beginning computers are also available along with crafts. As you can see, Norman Atkinson is standing tall again as he continues to progress at the Lifestyle Enrichment Center where staff is now family.